We find scarce little to celebrate in a sullied land, marking our days remembering the tragedies that tell our blood soaked history. In the troubled decades preceding, many, from the highest in the land to average citizens, have met with violent ends at the hands of assassins. The reason for their deaths is attributed to direct, indirect or even borderline connections to the internecine conflicts that scar our post-independence evolution. Not all were war makers. Among the targets were politicians, opinion makers, journalists, public servants and even pacifists. In addition to these high profile victims, thousands of others, soldiers, policemen, civilians, priests and even school children have fallen victim to the madness of war. There was tragedy within tragedy when Lasantha Wickramatunga’s tenth death anniversary was commemorated at the Lakshman Kadirgamar Centre. The urbane Kadirgamar, coming from the minority Tamil community, was a popular and respected Foreign Minister. By training and culture Kadirgamar was essentially an outsider to the seamy politics of the country. Although he eventually succumbed to its seductions, he was not of politics as understood in this country. As Foreign Minister, Lakshman Kadirgamar endeavoured to raise the standards of our diplomatic service, arguing that we needed able, cultivated and dignified persons; true ambassadors, to represent us. For a small and troubled country, to win friends and influence people it is vital to put a good face on, as the phrase goes. He knew that political operatives and relatives of politicians were not necessarily endowed with these qualities, hence attempted to keep them away from the service. Alas, Kadirgamar’s tenure at the Foreign Ministry was only a short interim; both before and after, our representatives by and large have only distinguished themselves by their inappropriateness and corruption. It is no surprise that the world often identifies Sri Lankan goings on with the bizarre; they have seen our ambassadors. In the mind of the LTTE, a member of the Tamil community advocating a united country had forfeited his right to live; Kadirgamar had to go.The closely guarded foreign minister was no easy target. Eventually, in August 2005, the LTTE stalkers had their chance, when the minister was taking a swim in the private pool at his Colombo 7 residence. A sniper concealed in a building nearby had him in his gun sights. After the shooting the assassins made a quick getaway and were not apprehended, although much later it was claimed that some of the culprits perished in 2009, the last days of the war. Kadirgamar was truly mourned and the State established the Centre in his memory. He was one of the very few, perhaps the last among our politicians, to have enriched politics by his participation, and not got enriched by politics. 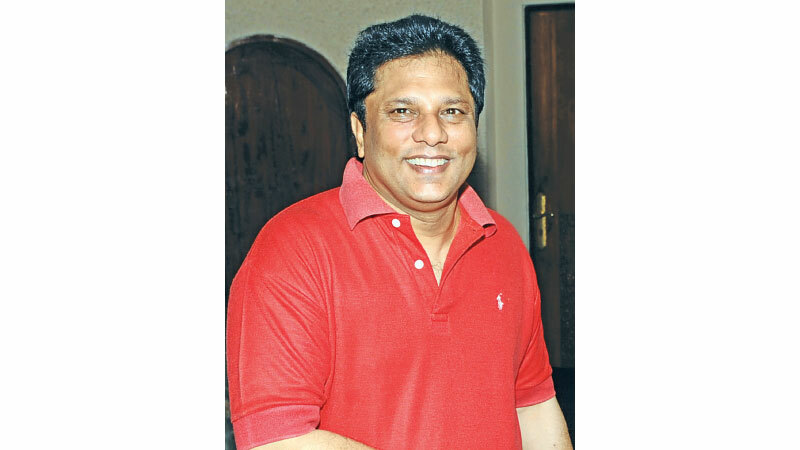 If Kadirgamar was a hesitant late comer to politics, Lasantha could not wait to plunge in. Where the former was eclectic in opinion and taste, the latter was very much bound to the particular, the homespun. Nurtured very differently, for lawyer journalist Lasanatha Wickramatunga the rough and tumble of Sri Lankan politics was the essence of his being. As a young man he offered his services to Sirima Bandaranaike the former Prime Minister; Lasantha was her private secretary for a time. Although a political career was never out of his mind, it was journalism that had the greater pull on Lasantha. In a democracy, reporting, interpreting and opinion forming are as good as doing politics. Besides, these are parallel paths, make an impact in onefield and the other will open up naturally. After short stints at various English newspapers, he set up his own - the Sunday Leader. His style of journalism, brave, hard-hitting soon propelled Lasantha to national eminence, at least among the English readers. Unlike the staid mainstream, the Sunday Leader was trenchant, even scandalous. Many took the paper to court, Lasantha hit back even harder. Investigative journalism is not for the faint hearted. At the minimum, an investigative reporter must have contacts in the right places, a good grasp of the subject, a sound knowledge of how systems work, and a lot of pluck. Nevertheless, an investigative reporter plays an important role in a democratic system. His investigations open up a subject, encourage other whistleblowers, create public concern; drawing the attention of the investigative arm of the government who may conduct more comprehensive investigations. It is obvious that effective investigative reporting can be founded only on a responsive public. If a society on the whole are indifferent to corruption, or have a doubtful attitude towards public transgressions, reporting on such things will be like complaining about theft to a band of pirates or meditating ascetics. Equally, investigative reporting is of no avail if the government agencies enforcing law and order are unresponsive, politicized or inefficient. A journalist can only blow the whistle; it is these government institutions that can commence prosecutions. Three years after kadirgamar’s assassination, Lasantha too fell victim to an assassin. In the case of Kadirgamar, it is more or less certain that the assailants were LTTE terrorists. Lasantha’s killing is shrouded with controversy. We do not want to repeat the sequence of events preceding as well as subsequent to the assassination which have been referred to many times before; suffice it to say that the overall circumstances and the manner the hit was carried out, point to overwhelming power and influence. A rule of thumb in an investigation is to follow the money trail. The prevailing view is that Lasantha was writing about a case of war profiteering, an exposure that piqued the highest in the land. Anti-terrorist wars are often fought using terrorists’ methods; secret bank accounts, safe houses, hit men all playing a role. Those fighting such wars against terrorism are in turn targets of the terrorists. They see themselves as protectors of law and order, resenting any suggestion of abuse of their powers. Countries that have to fight shadowy anti- terrorists’ wars, become militarized over time, their systems utterly warped by the ordeal, struggling for years to find normalcy again. That January morning, on a busy public road, a team audacious hit men acting with impunity murdered Lasanatha Wickramatunga. This was ten years ago. Up to now, there is no clear suspect, no prosecution, and no explanation for the failure of the system to bring the assassins before the law. It goes without saying that for the victims’ family and even the larger society, there must be closure. Governments that fight terrorism in the name of law and order, cannot ignore the law, even in the midst of strife. This government came to power on a platform of justice and openness. There is this affront of a murder before it. Do we shrug off and down-play the crime because of the inconvenience of telling the truth?